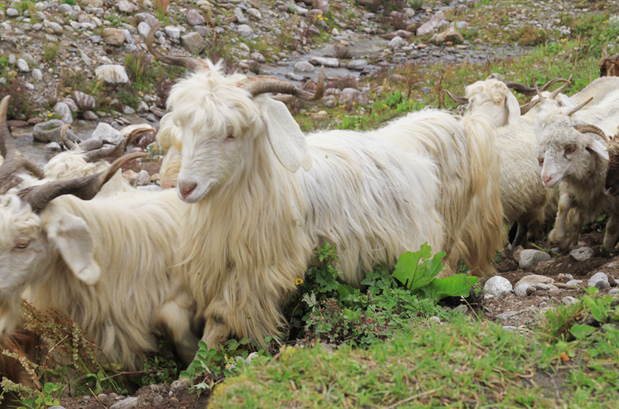 Gaddi refers to the nomadic shepherd tribes in the local Himachal dialect. 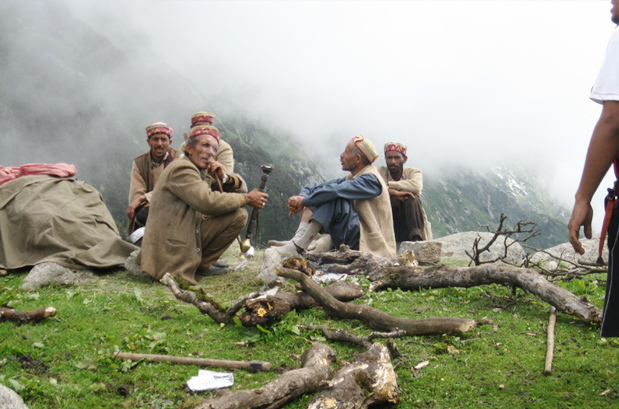 The Gaddi trail or the shepherd trail trek is used by the shepherds to cross over to the Kangra valley from Kullu in Himachal. One of the most alluring and scenic treks in the region, the shepherd trail Gaddi trek is ventured onto by myriad trekkers, wildlife enthusiasts and nature lovers from different corners of India and abroad. Owing to its tough gradient with steep and treacherous trails, the trek demands a high level of physical and mental fitness. Traversing through Kalihani, Khanpari and Thamsar high altitude passes, the trek takes you in the serene remoteness of the Kangra Valley tucked away in Dhauladhar ranges of the Western Himalayas. Crossing dense forests of pine and cedar, numerous emerald green meadows carpeted with wild alpine flowers, remote and picturesque villages, striking fruit orchards and many small glittering streams of water while enjoying the panoramas of the surrounding valleys and snow-capped Himalayan peaks; the shepherd trail Gaddi trek gives you an electrifying trekking experience of your lifetime. Feasting your eyes on the astounding scenic vistas along the fascinating trails, be prepared to negotiate your way through snow-bedded glaciers, slippery slopes, rocky trails, dangerous moraines, and make-shift rickety bridges. 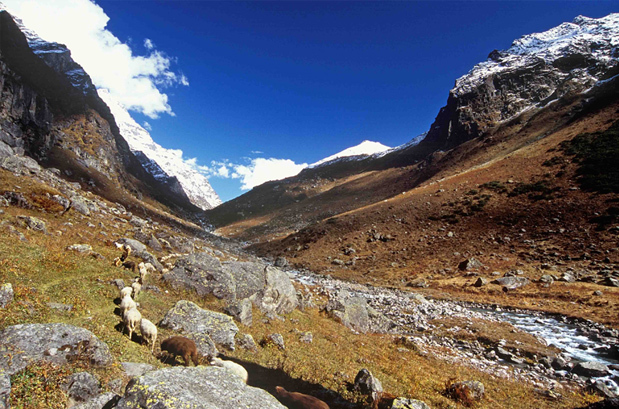 Along the route, keep an open eye for sights of rare Himalayan birds and animals. As far as the trekking route is concerned, the conventional shepherd trail Gaddi trek begins from the hill town of Manali, making its way through lush meadows of Lamadugh, ascending to Khanpari Pass and then further on to Kalihani Pass. From Kalihani, a gradual descent begins to the isolated village of Bara Bhanghal. Leaving Bara Bhangal, you make your way to Thamsar Pass further onto Bir-Billing finally ending the trek at Dharamsala. One of the most glamorous treks in Himachal, this trek is surely an eye-opener and the most unforgettable experience for its excursionists and hikers. 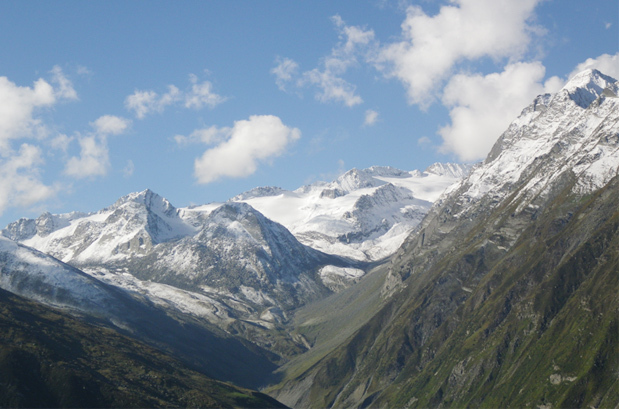 Get an opportunity to explore the scenic trails and tourist attractions of Manali. Chance to cross three high mountain passes in a single trek with the highest being perched at an elevation of 15,700 ft. (Kalihani Pass) above sea level. Opportunity to capture unmatched scenic vistas of Western Himalayas. Experience of over-night camping across flowing river streams nestled amidst astounding scenic beauty accompanied with bonfires. Option to indulge in adventure of world-class paragliding experience at Bir-Billing; one of the most famed international locations for Paragliding. Opportunity to explore Tibetan Buddhist monasteries at Dharamsala and visit the residence of the Dalai Lama. 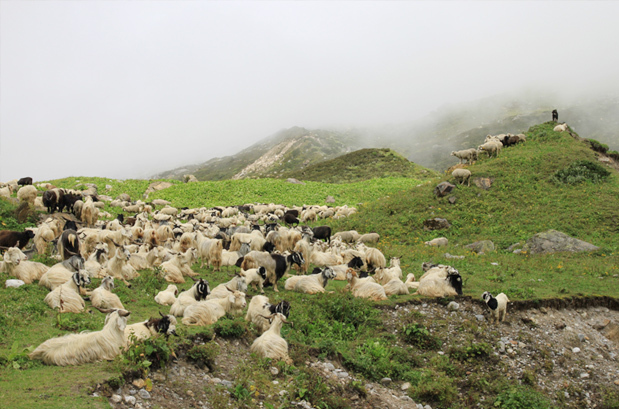 One can venture on to the shepherd trail Gaddi trek anytime between the periods of June and October. Owing to heavy showers and probability of landslides and cloud bursts in the monsoon season, the ideal time to visit the shepherd trail Gaddi trek is between September and October. 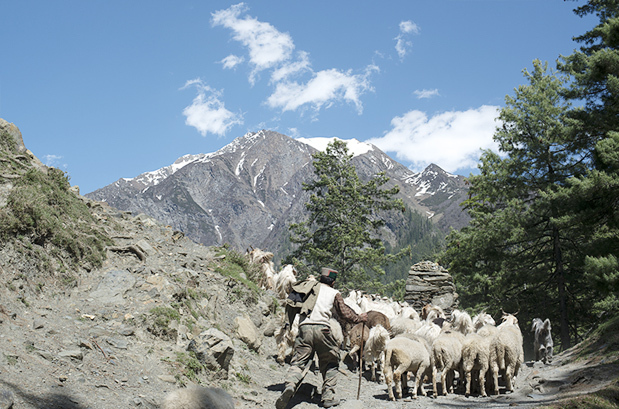 The shepherd trail begins from Kullu valley in Manali and ends at the Kangra valley in McLeodganj/Dharamsala. Nestled in the lap of Pir-Panjal and Dhauladhar ranges in the Western Himalayas, the shepherd trail offers unmatched scenic splendours and visual treat to eyes. How to Reach Shepherd Trail Gaddi Trek? To commence with the shepherd trail trek, Manali acts as the base site which can be reached through following transport options. By Air: Bhuntar Airport located at Kullu is the nearest airport. Several flights from Delhi and Chandigarh connect to Kullu, from where private/shared taxis or chartered/state run buses can be booked to reach Manali. By Rail: The nearest railway station lies at Chandigarh, from where private taxis and Himachal state run or Volvo buses can be hired to Manali. By Road: Overnight regular/deluxe buses, Volvo buses, Himachal state run and Delhi tourism buses regularly ply from New Delhi to Manali. Various buses from Chandigarh and Dehradun also ply at frequent intervals to Manali. In the evening move forward to Manali by luxury AC Volvo Bus. An Overnight journey. By morning we will reach at Manali. On arrival transfer and check into the hotel for relaxing. 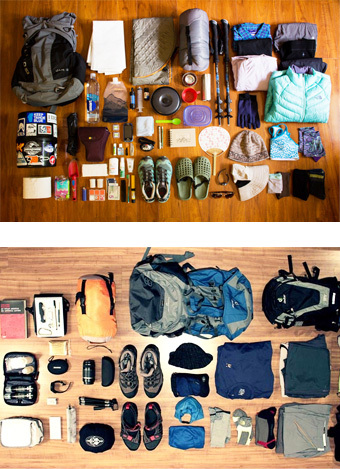 After refreshing we will visit and explore the Manali, old Tibetan Monastery, Hadimba Devi Temple, and the Mall. We will stay overnight in the hotel. This is the first day of the trek from here the trek leads by passing through cool and thick forests of enormous deodars (Cedar), then the trail mounts gently through the Manalsu valley by way of the Manalsu torrent for company. The campsite is situated near the verdant meadow of Lamadugh. The trail now starts to climb steeply through the forests and verdant meadows. During the trek you can see wild alpine flowers spread all around. The spectacular shrubs of the Rhododendron and birch cover the way to the pass following which a descent leads to reach the campsite. Today we will move ahead with a wonderful walk through the lush green forest and passing over the fragments of the glaciers following a short climb to the campsite. 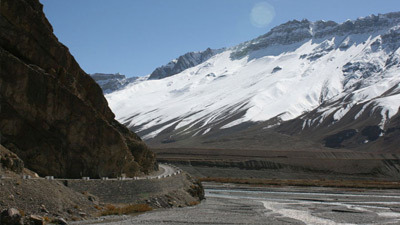 The place is encircled all around with the famous mountain peaks of the Lahaul and Kullu valleys. From here you can get most stunning views and enjoy the unforgettable evening in the midst of serene surrounds. Today the landscape gradually begins to change, as the lush green forests and meadows gives way to rocky projection with after a while patches of the snow come into the view. After a slightly steep climb through the glacial debris and snow, we will reach at the top of the pass. Here you can see stunning views of the peaks of the pass. After a brief stopover, at the location we will move downward through glacier and on the way moraine leads us to the campsite that is situated on the bank of the sparkling and pristine mountain stream. From here the trail leads down into the River Soony through Devi Gote. There is a small temple built by the shepherds (Gaddies) for the protection of their sheep and themselves from the natural cataclysm and the wild animal. We will visit the temple and pay the reverence to the Goddess and continue the trail to reach the campsite on time. Today, we will depart from this striking campsite, and move forward to our next destination. We will leave behind rocky terrain, and soon the pathway is replaced through the lush green meadows. The trail again begins to climb, and the forests come into sight, the river flows through the magnificent gorges. As soon as, we cross through a snow bridge or traditional wooden bridge, we will reach our campsite. The trail now turns its way downward to the valley floor, after which we will continue the trail on an almost level walk that leads in the direction of the camp site that is located just before the small old village of Bara Bhangal. On this day we will visit an isolated and an outlying village. This village is open only 4 or 5 months in the whole year. The residents of the village are the legendary Himalayan shepherds "the Gaddies" who here lead a very difficult and nomadic life, leading their huge flocks of the goats and sheep in the soaring mountain, summer meadow and into the autumn season returning back to their unusual way of living the life in the village. Today, the trek will begin with a steady ascent to the camp site. After moving for a while the backdrop changes there and the air become much cooler. We will reach at the camp site and in the liveliness and warmth of the campfire you can relax and enjoy in the great surrounds. On this day, the trail steeply emerges from the rock-strewn and glacial territory into the softer surroundings. The lakes, flowing on the either side of the pass offering spectacular view of the magnificent Dhauladhar range with impressive Manimahesh Tibba in the north direction of the pass. From here we will move ahead steeply descend to the campsite located at the Pannihartu. The trail on this day commences with a very enjoyable walk passing through a verdant path from extensive meadows, thick forest and the cascading waterfall; shortly, we will reach a small village that comes into view literally lynching on the edge of the hillside, giving a surrealistic and exquisite appearance. The trail will move ahead to the next destination and moves through the oak and rhododendron forest. After reaching Billing we will nonstop descend towards the Bir. Billing is famous for the Paragliding, here participants from across the globe as well as from India come and take part in the Paragliding competition. In the way to, here you get to see extensive and stunning views of the lush green Kangra valley. 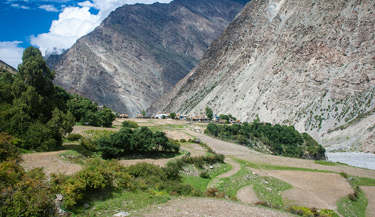 Soon the trail move forwards and steeply descends and finishes at the little Tibetan settlement at Bir. The last day of this delightful and most wondrous trek comes to end after passing through the territory of legendary Gaddis, tough, and sinewy Himalayan shepherds. On this day we will leave Bir and move ahead for Dharamsala. On the way to the destination we will visit the Tibetan settlement and the monastery located at Bir, and then after that visit Chamunda Devi temple located in Palampur. After driving for about 50 kilometres we will reach Dharamsala. We will have dinner and stay overnight in the hotel. After having the breakfast, half-day sightseeing excursion of Dharamshala is arranged and in the late afternoon transfer to the Pathankot Railway station to board the train for Delhi. An overnight journey via train. By morning you will reach Delhi. 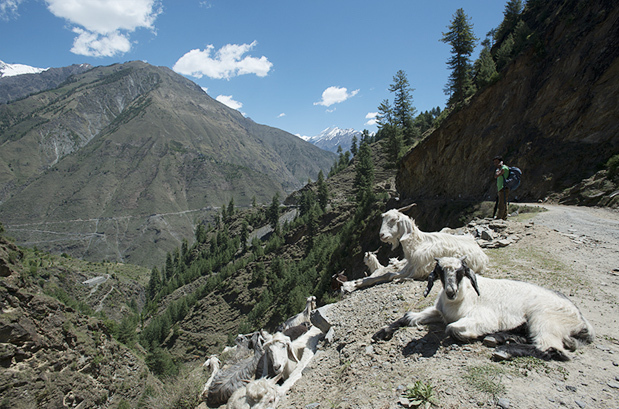 When to book Shepherd Trail Gaddi Trek? You should book Shepherd Trail Gaddi Trek two months in advance so that you get ample amount of time to prepare well for the trek. Our pick up and drop point for Shepherd Trail Gaddi Trek is Delhi (Janpath/RK Ashram Metro Station/Majnu Ka Tila). You can board Bus from these bus stops to Manali. At Manali our guide will pick you from train station and then from there your tour will start. 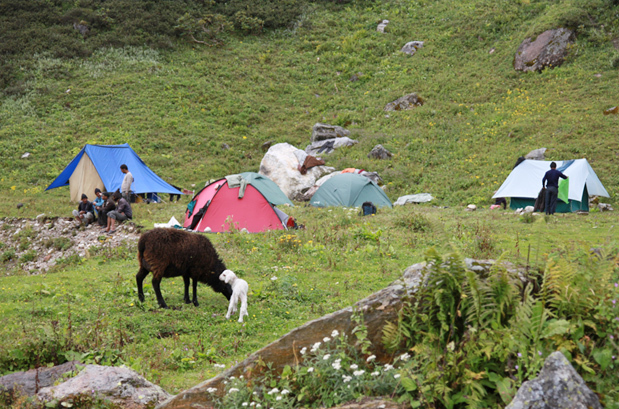 What is minimum age required for Shepherd Trail Gaddi Trek? 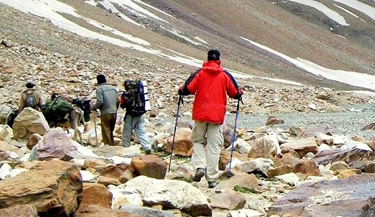 Shepherd Trail Gaddi Trek is a tough trek with a maximum altitude of 15750ft (4800m) minimum age required is 12 years. What will be the minimum temperature during Shepherd Trail Gaddi Trek? How long we trek during Bhaba Pass Trek?